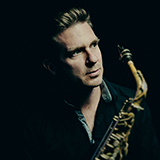 One of the finest young saxophonists in Europe today, Bart Wirtz has a flexible and versatile style that ranges from hard bop to freer explorations. Wirtz has his own sound and open- minded approach to playing jazz. After winning several honors (including the Erasmus Jazz Prize, the Leiden Jazz Award and the Breda Jazz Prize) he became very busy with his career and has not stopped since. 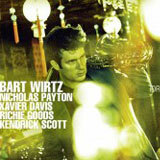 Bart Wirtz has become an important member of different jazz groups like The Very Next and the Artvark Saxophone Quartet. His new album 'iDreamer', wich was recorded in New York, features a unique american band with trumpeter Nicholas Payton. For this album he won the Edison Publieksprijs 2012.